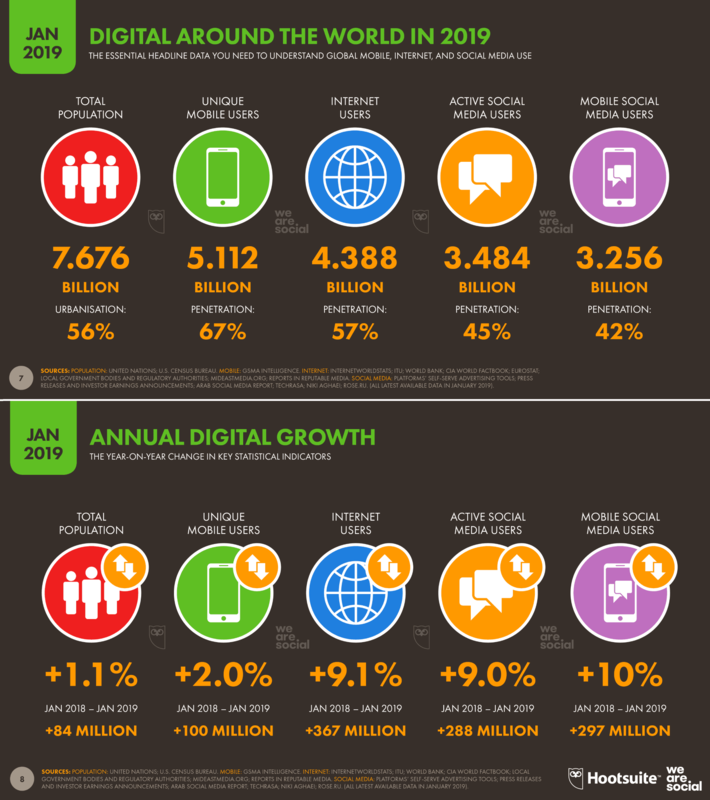 The Digital 2019 report by HootSuite and We Are Social reveals that the average internet user spends more than a quarter of their life on the World Wide Web. The same report further shows that consumers are online an average of 6 hours and 42 minutes each day whereas mobile devices remain to be a popular mode for connecting to the digital world. The numbers above equate to more than 100 days of online time for an average internet user. That is more than 27 percent each year. According to the Digital 2019 report, the 6h 42m internet time is the world’s average while the USA to fall slightly below 6h 31m. 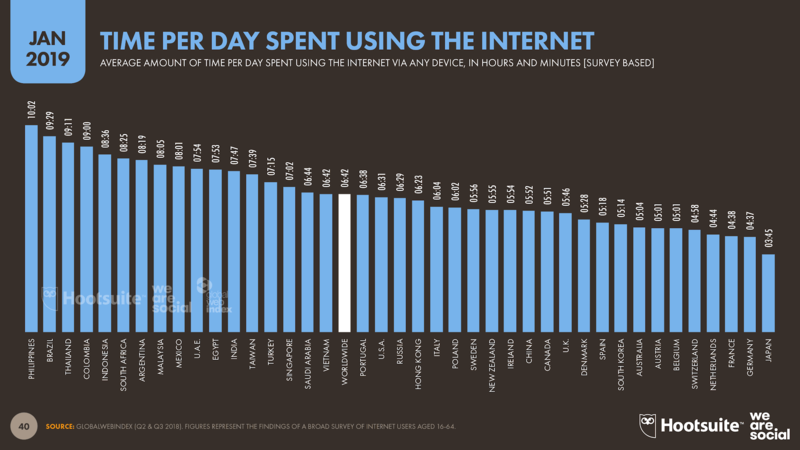 Residents of Philippines have the highest use of internet at 10h 02m while Japan is the country with the least use at 3h 45m. Moreover, the report shows a slight reduction in the usage since last year and predicts initiatives like ‘Screen Time’ to be helping people monitor their internet use more effectively. The report also shows that the number of internet users is growing steadily with each passing day. Click here to access the full report by Digital 2019. The report combines data collected from different sources including GSMA Intelligence, Locowise, Statista, App Annie, GlobalWebIndex, and SimilarWeb.